The last three weeks have brought A TON of snow and rain to our area – we have not had a storm cycle like this in a few years! I wanted to write this a while back but the storms kept coming. We finally are looking at a short break and some sun and a good time to see where we are at. The snow (and rain at lower elevations) started around December 3rd and since then there has not been a meaningful break in the action. 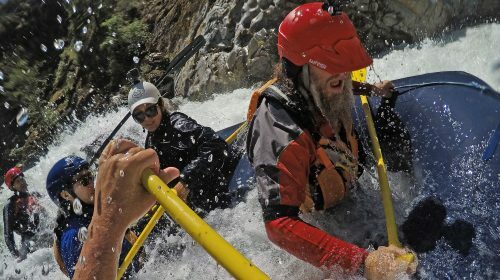 During that time we have had some giant storms, 100+ inches in 2 days on Mt Shasta (a 14,000’ volcano to the south of us) and flows over 100,000 cfs on the Smith River, as well as round after round of smaller storms. 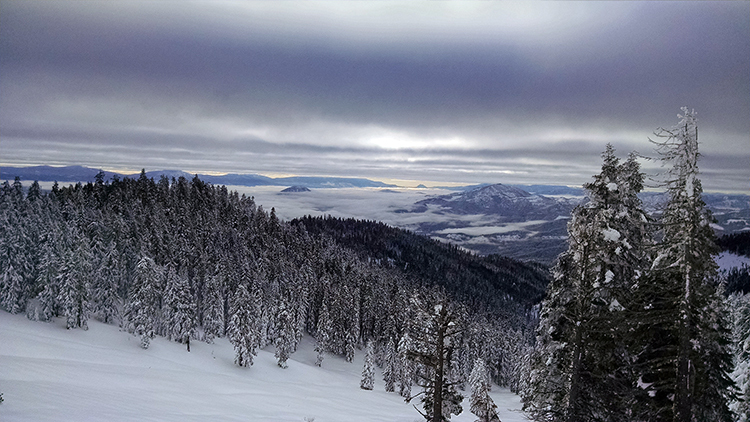 Mt Ashland went from pockets of snow on the north facing slopes to a 95 inch base at the top and Crater Lake has a base of over 100 inches. Some of the flows on our coastal rivers were impressive too – in some cases record breaking. The Illinois peaked out at 24,000cfs on December 13th. For those who have done the Illi, the gage is above put-in so I would estimate the flows at Greenwall Rapid to be close to 40,000 cfs! The Rogue, despite the flood control provided by Lost Creek reservoir peaked out above 59,000 (check out the picture below!). And the Smith, the queen of giant storm flows, peaked out at 118,000 cfs! 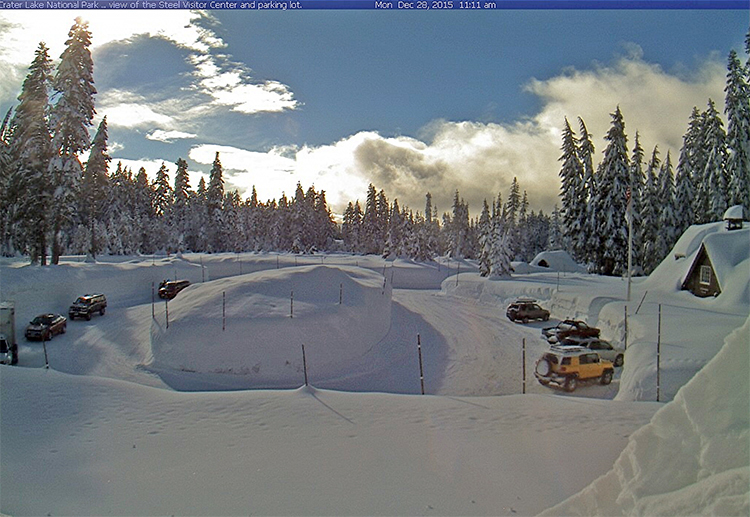 Today’s view on the Crater Lake visitor center webcam. That is the top of the bathrooms at the Grave Creek put-in on the Rogue:) We float by here at the beginning of most of our trips and begin here on our trail running trips. So where are we at and what does it mean? The Owyhee: 216% of normal snowpack for this date. The Cal Salmon: 140% of normal (estimate). The Rogue: 179% of normal. What it means: Snowpack does not affect us as much on the Rogue but it is great to have all the snow! The Rogue does book up faster than any trip we do though – so now is the time to look at dates, especially if you are looking at a group trip. 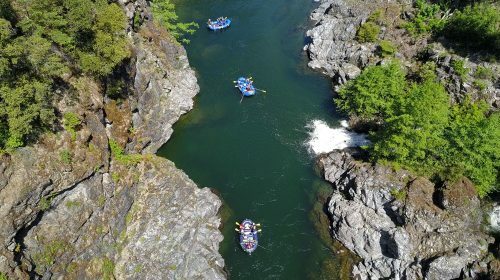 The Klamath: 175% of normal. Idaho Salmon: 204% of normal. What it means: Like the Rogue snowpack does not affect us too much on the Salmon. But big snow years do mean more exciting flows in late June and early July. Like the Rogue the Salmon books fast though. 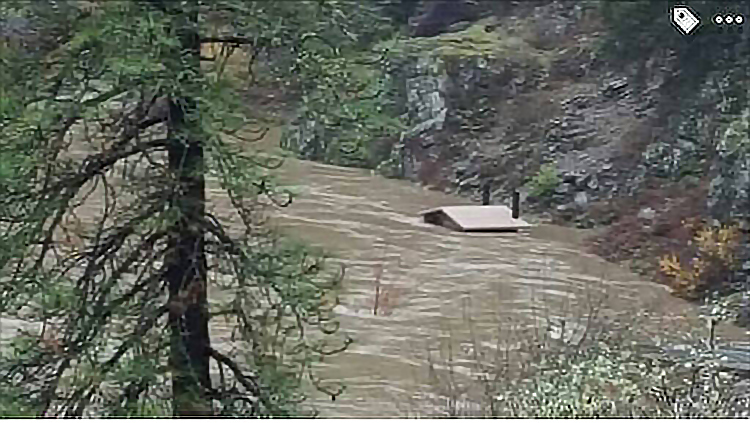 It is an El Nino year for sure and the 3 month forecast is still calling for high chances of higher than normal precipitation in Southern Oregon and Northern California. 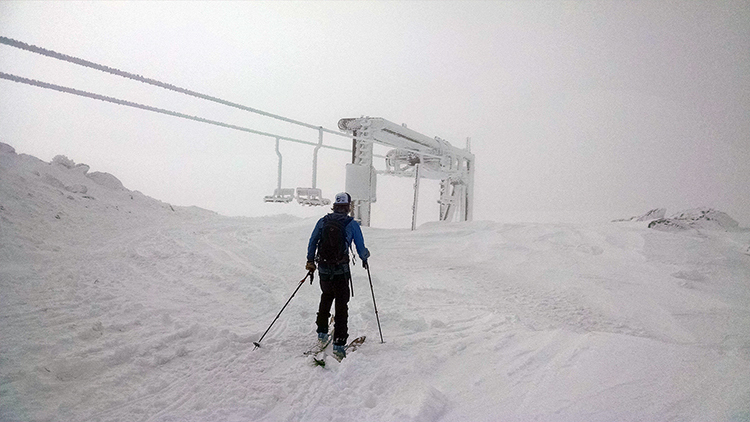 Momentum guide Erik Sol skinning to the top of Mt Ashland with the rime encrusted Ariel Chair above. We have been doing a lot of this the last few weeks! 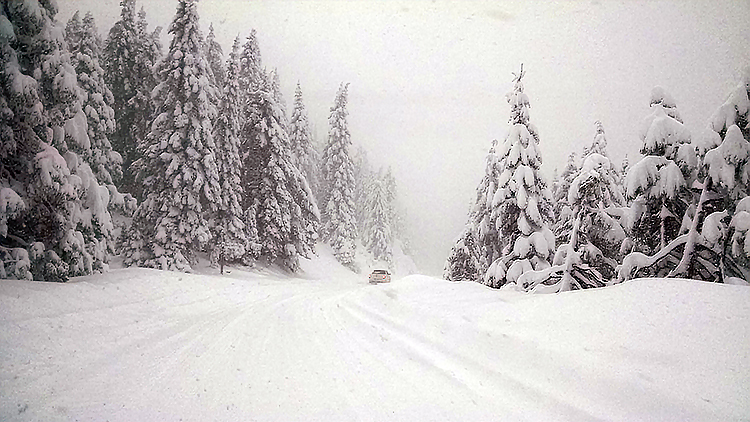 The Mt Ashland Road on a particularly snowy afternoon. Things are looking great for an amazing spring and summer!! !